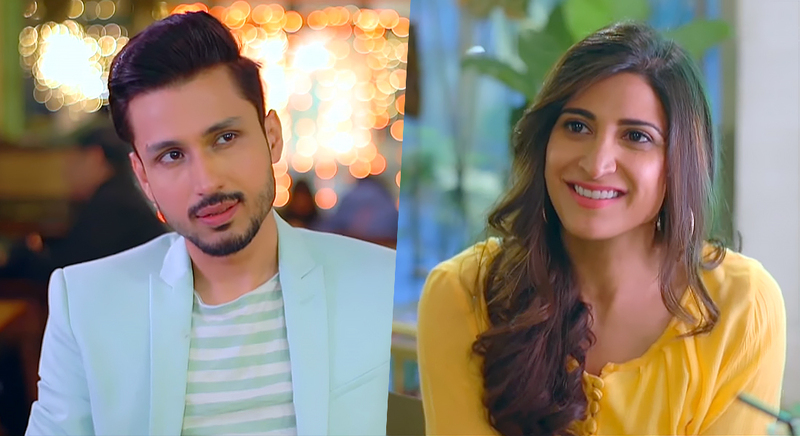 Amol Parashar and Aahana Kumra are one of the most frequent faces we can see in the web-series these days. Their personalities and talent are also justified for the web series and they are also able to carry it off quite excellently. I just ended up watching one of their mini web-series from Viu team named “It Happened In Hong Kong”. Whenever any Indian stuff is shot in overseas countries, there is an expectation from story to be little different from our usual stories considering the foundation of the story having two Indians meet in a strange country. The web series is of only 4 episodes and it starts showing Aahana Kumra playing a travel blogger and visiting Hong Kong with making notes simultaneously to update her blog later. She meets Amol when she reaches out to a taxi and ends up sharing the cab with him. Both of them like each other instantly and go for a coffee date and finally agrees to visit the rest of their Hong Kong trip together and create memories. The series is shot such that you will get a feel that you are watching a travel vlog itself the way Mumbiker Nikhil shots his Youtube content. The cinematographer justifies the locale beauty very excellently with his camera. Coming to the plot, the first and the last episodes are the best whereas the 2nd part of 3rd episode is also very defining. The script is written in a casual nature without getting into too many dramatic or inspiring scenes. It is a simple story showing how two people these days meet casually and ends up expecting more than their relationships and ending up getting hurt and bad experience in the process. But the way two characters are shown in a matured composition in the last episode is wonderfully done. Talking about the performances, both- Aahana and Amol are okay in their roles. Yes, there are naivety in their performances but with more camera experience, they shall get better with their performances. Overall, this is a light show with nothing very specific, unique or revolutionary. I rate this one as 3 stars just because I liked the romantic angle of the whole ambience that the series provided. Soundless Celebration & Silent Joy!!! Fluid by Ashish Jaiswal (Book Review: 3*/5) !!! When Life breaks down into bits and pieces! 1700* BLOGS in 3358 Days with Lakhs of You!!! Call Me Saaya by Zoe M (Book Review: 3.5*/5) !! !